Yegor Fomin was born in Russia in 1982 and migrated to Ukraine when he was 8 years old. He attended musical schools and graduated from the Musical Academy as an accordionist. He started to work as a musician in bars in restaurants. 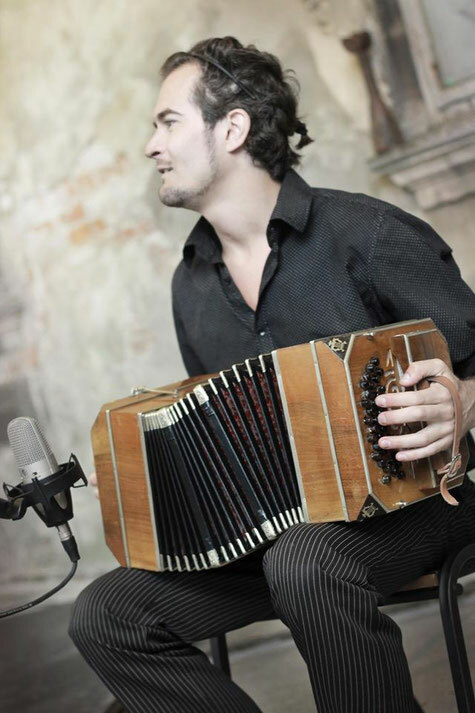 Eventually he immerged into tango culture and started to dance; later he bought a bandoneon and founded the trio Trinidad Arfó. Nataliia Garna was born in Kiev, Ukraine in 1988. 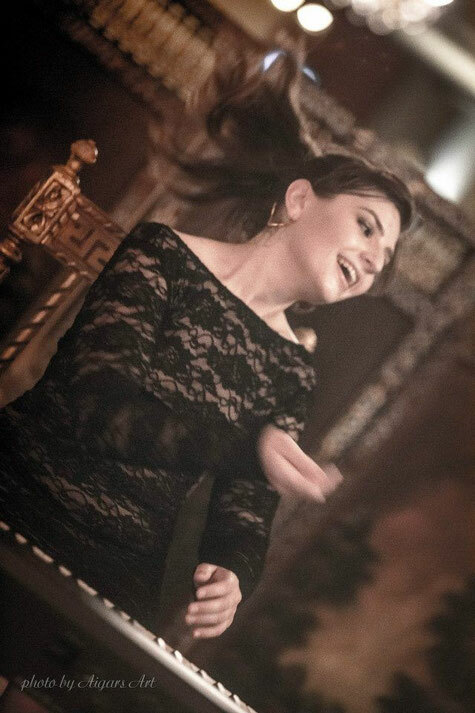 Since early childhood she attended musical schools; in 2011 she graduated from the Ukrainian National Music Academy, where she is currently a PhD candidate. Nataliia is a laureate of municipal, national and international musical competitions. Since 2007 she is teaching in music schools and giving private lessons. Nataliia’s concert biography consists of different solo and ensemble concerts, thematic evenings and performances with symphony orchestras. She dances Tango Argentino since 2012, the culture of which has greatly influenced her musical orientation and led to her participation in the trio as a pianist. Martin Neaga was born in Chisinau, Moldova, 1977, in a musician family. 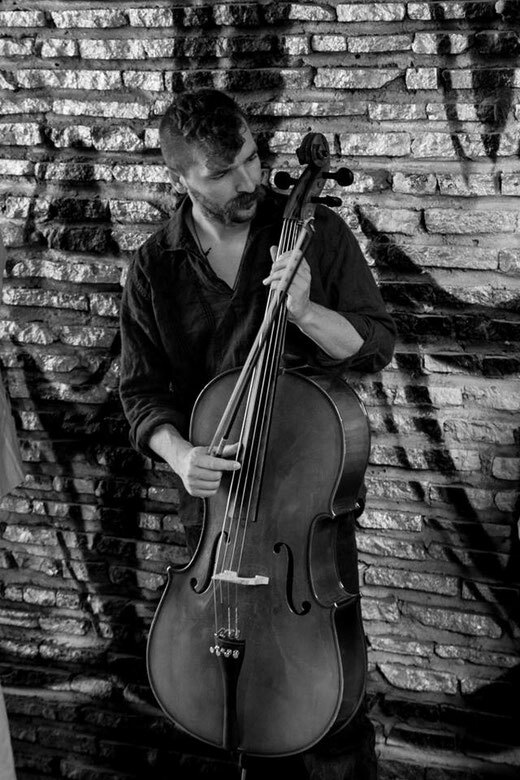 Cellist, working mainly in Early and Folk Music field. Was involved with many bands and projects in Poland, Ukraine, Slovenia, France, such as DuoDuo, Hamerman Znyshchuye Virus, Kyiivs'ki Torty, Horea Kozac'ka, Tatosh Banda, Primavera. Colaborated with such musicians as Matija and Nika Solce (Slovenia), Mirabelle Gilis (France), Kirill Raskolenko (Russia), Taras Kompanichenko, Olena Yeremenko, Anton Koroliov, Mikhail Kachalov, Mariia Kudriavtseva, Andrii Voytiuk, Albert Tsukrenko (Ukraine), Mark Marczyk (Canada), Oleg Timofeyev (USA). Learned 90 % of what he knows in the streets, pubs, bars, jam-sessions and conversations with the musicians , while travelling the world.